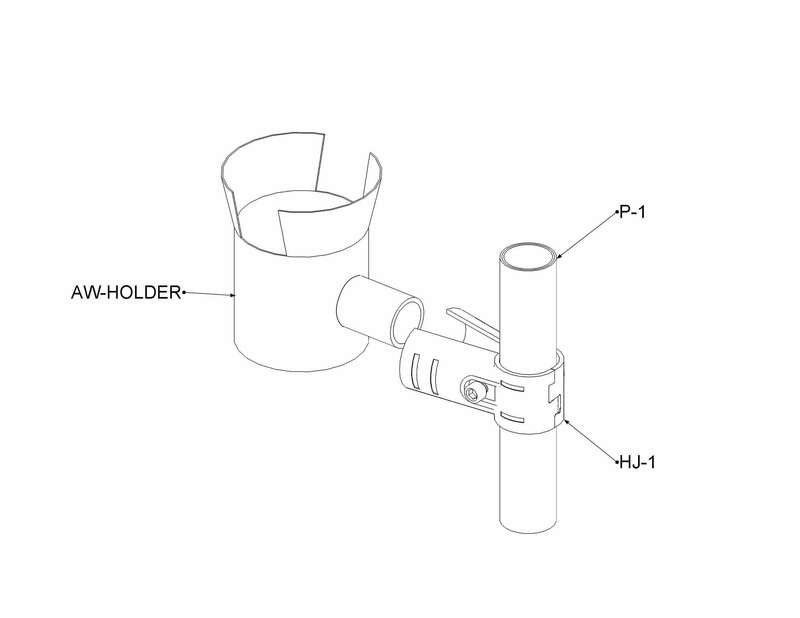 The AW-HOLDER is a metal tool holder shaped like a cylinder. This accessory serves many purposes, but as its name suggests, it mainly holds tools. Nonetheless, this product is great for implementing sleek storage in your Flexpipe structures. This accessory can be positioned in nearly any way you want. The AW-HOLDER is a little bit like a sophisticated peg. You install it with the joint set of your choice. Most of the time, we use the HJ-1 for this process. However, 80% of the joint sets are suitable for installing the holder. This is a galvanized product, making it an excellent choice to hold various power and electronic tools, as long as your whole Flexpipe structure is made with ESD components. 2- Please reference HJ-1 installation steps 1 to 4. 3- Insert the AW-HOLDER in the HJ-1 joint. 4- Tighten completely the M6-25B bolt and M6-N nut together until the HJ- 1 is firmly attached to the pipe and the AW-HOLDER . A force of 9.8 Nm is recommended for this step.